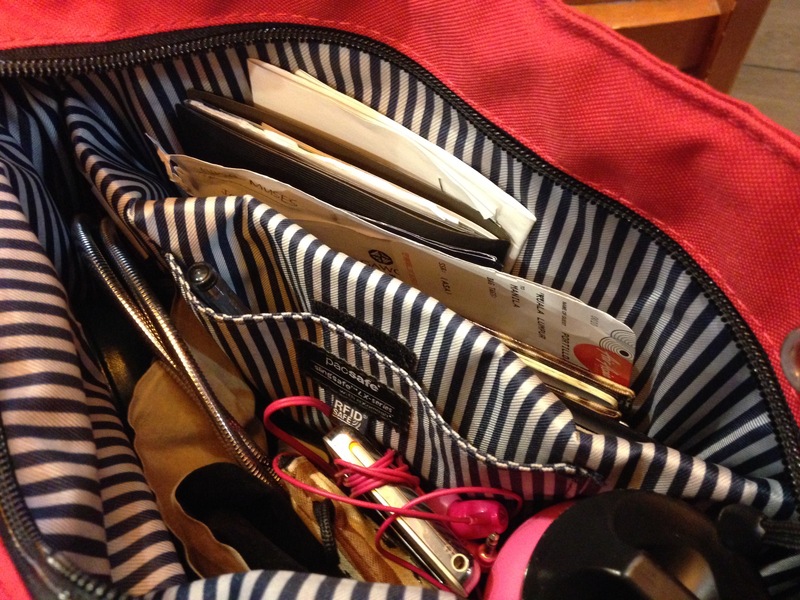 Anniversary Post, PART III: A Pacsafe Tote Giveaway! So I’m sitting at the Phnom Penh International Airport, at the tailend of my trip. I’ll get into the whole trip in a bit, but let me start with something exciting. Now, admittedly, this post is terribly late. This was meant to come out in September, but things got quite crazy. In addition to that, I impulsively booked a flight to Cambodia. I thought this trip would be the perfect time to put one of my new favorite things to the test. It’s no secret that I am one of Pacsafe’s biggest fans, as you can probably tell from most of my gear posts. My packable day pack is a treasure for, literally, all seasons. Now I’d like to introduce another fabulous find! The SlingSafe with eXomesh tote is a durable shoulder bag with Pacsafe’s signature anti-theft exo-mesh and RFID protection technology. On the outside, one of its ergonomically-designed and padded straps unlatches from itself so you can wrap it around armrests, chairs, or any sort of solid structure, which should prevent it from getting snatched during leisurely coffee hangouts in crowded tourist areas. And the bag’s double zippers kiss, which allows for the insertion of TSA-approved travel locks. On the inside, there is a sleeve enough for a 13-inch laptop to slip in, and then a smaller, RFID-safe pouch, supposedly to hold your wallet and personal cards. It has properly held its own in the rainy, bustling streets of Phnom Penh, and easily transitions from street wear to sunny, hotel pool lounging. Back home, I take it to casual business meetings. Want one? It’s your lucky day! I’m giving one away! Like Sting Like Abi (http://www.facebook.com/abistings) on Facebook. Share this post, and use #StingLikeAbiThrillionaireGiveaway. Follow @stinglikeabi on Instagram. Repost the corresponding Instagram giveaway post on to your account. Use #StingLikeAbiThrillionaireGiveaway. Comment on this post, saying why you want to win. Don’t forget to introduce yourself so I know how to get in touch with you in case you win! The more actions you do, the more entries you submit, which means more chances of winning! Contest closes on October 22, 2016! This entry was posted in Words and tagged anniversary, bags, gear, giveaway, lifestyle, Pacsafe, prizes, SlingSafe, tote, Travel. Bookmark the permalink. Anniversary Post, PART II: Bamboo Speakers Giveaway!